For a limited time, Marriott Bonvoy is rewarding new members who join up and complete two stays with a free award night. Discover how you can take advantage of this generous promotion, and find out how you could look to redeem your free night for serious value with out top property picks. Marriott Bonvoy isn’t a particularly prominent loyalty program in Australia, but it’s one that probably should be on your radar. Starwood Hotels and Marriott Hotels recently completed a merger, resulting in the creation of Marriott Bonvoy. Over 6,000 properties now come under the Marriott Bonvoy umbrella, including a range of Australian hotels and resorts. Marriott is aggressively growing its footprint in the Australian and wider Asia-Pacific market, and a number of new properties are slated to open locally in the short to longer term. 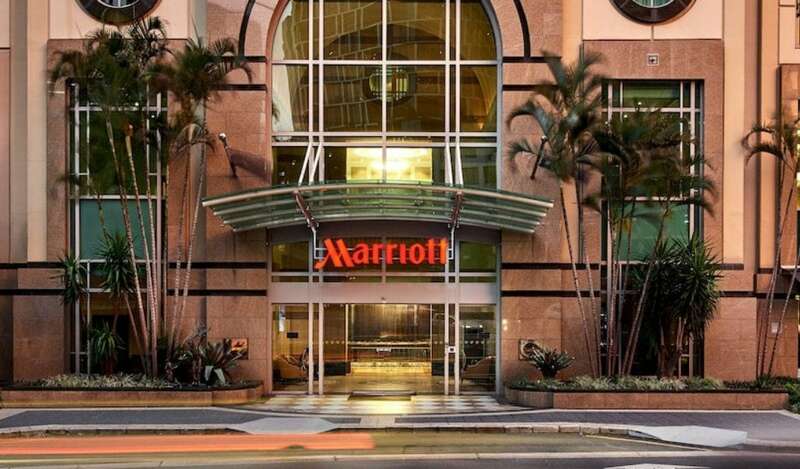 In addition, points can be earned relatively easily in Australia, as eligible American Express Card holders can transfer AMEX Membership Rewards points to Marriott Bonvoy. 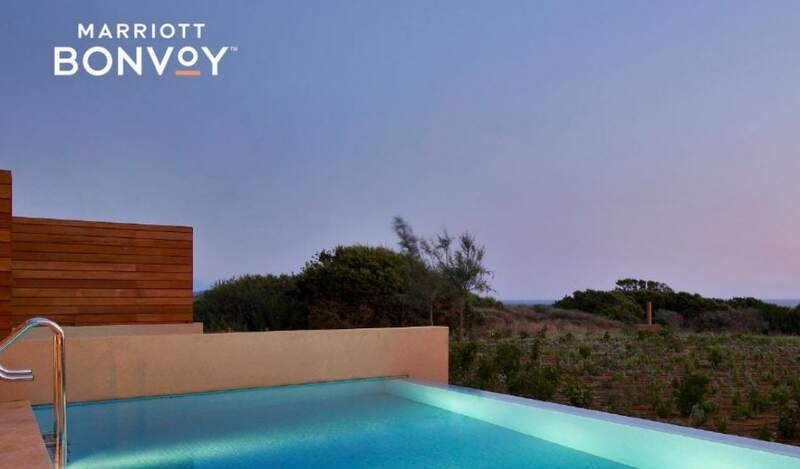 The Marriott Bonvoy promotion is valid for new members who join and complete two paid stays by 29th July, 2019. The free night certificate is valid for one year and it can be used at any Marriott property costing 25,000 points or less per night. The two qualifying stays can comprise just one night each, and there is no minimum amount you need to spend. As a result, depending on where you choose to use your free night certificate, you could access significant value – perhaps even more than the cost of your two qualifying stays – as we’ll highlight below! With more than 6,000 properties coming under the Marriott umbrella, and a wide time period to complete the two stays, meeting the qualification criteria for the offer shouldn’t be too difficult. Note that there are a range of terms and conditions which apply to the promotion. These can be found here. The free night certificate is valid for a redemption of up to 25,000 points, which equates to a Category four property at standard pricing. And while there are a stack of fairly uninspiring properties within the Category 1 – 4 bracket, there are also some diamonds amongst the rough. In fact, we’ve located a one night stay value of almost $500 AUD in one instance! We’ve rounded up four potential redemptions, highlighting the points cost and a comparable cash rate (converted to AUD, where applicable) for the ballpark night of August 1, 2019. Our top pick is a stay in the Big Apple. Accommodation in Manhattan can be exorbitantly expensive at the best of times, and your free night certificate would be put to good use here. 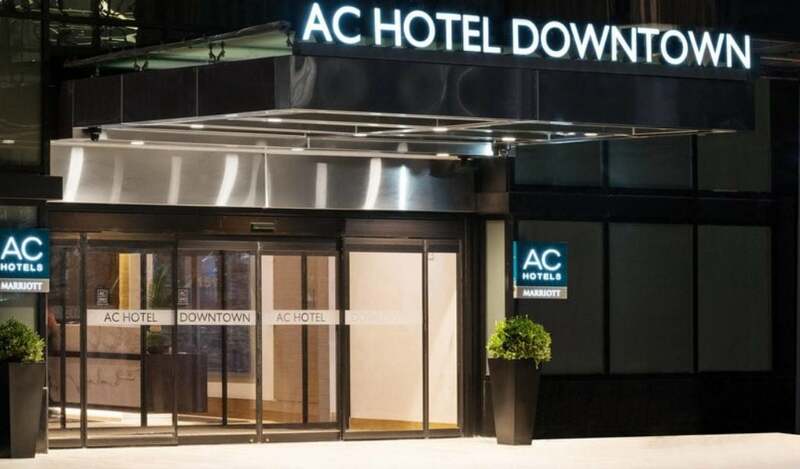 Located in downtown Manhattan in the Financial District, the newly opened AC Hotel Downtown commands cash rates of $492.20 AUD per night for the night of August 1, with an award stay available to be redeemed for 25,000 points. It’s worth pointing out that this isn’t the only New York property you could redeem with your free night. There are a number of other properties on the Island of Manhattan which fall within the Category 4 tier, all of which would represent good value for an award night stay. If you’re looking for a stay that’s a bit more left field, then Eremito could be for you. This Design Hotels property is located in the heart of Umbria, Italy, surrounded by 3,000 hectares of protected natural reserve. The austere aesthetic aims to provide guests with an “old luxury”— which means plenty of quiet and space to reflect and rejuvenate, sans Wi-Fi, phone, and television (eek!). But, don’t despair – there’s plenty to occupy guests, including Gregorian chanting and a spa area featuring a heated pool dug from the rock. 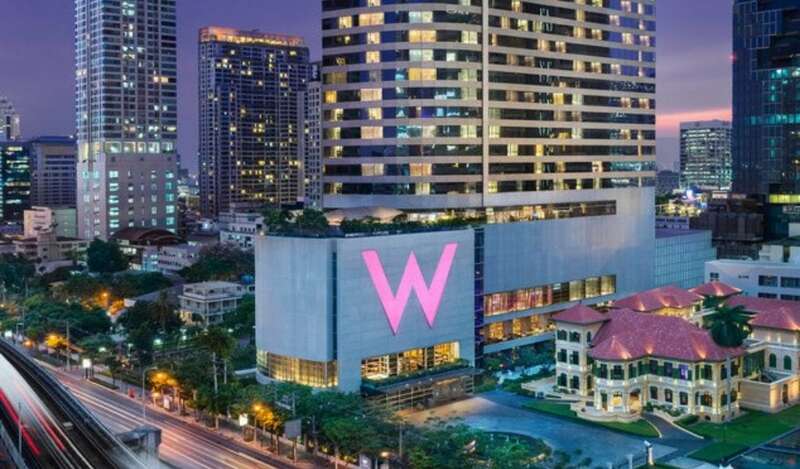 W Bangkok is located in Bangkok’s leading business and entertainment district. Guests enjoy spacious rooms equipped with high technologies including the W Signature Bed and oversized bathtub. W Bangkok features 403 guestrooms with 34 suites. For the night of 1 August, a ‘Wonderful’ room commands a cash rate of $244, or 25,000 points. If you’re looking for a redemption closer to home, you’ll be please to know that there are a small number of Australian 5 star hotels that fall within the Marriott Bonvoy Category 4 tier. One of these is the Brisbane Marriott Hotel. Make yourself at home staying in one of the beautifully designed rooms, offering views of the city skyline or the Brisbane River. Unwind on pillow top bedding, prepare for the day in marble bathrooms, and stay connected with high-speed Wi-Fi. For 1 August 2019, a King room can be booked for $296.00 cash, or 25,000 points. Not inspired by our picks? It’s important to note that the above are just a very sample of the vast number of properties that could be redeemed with your free night. You can search eligible properties at marriot.com (tip: filter to ‘Marriott Bonvoy Category 4 and below’ for streamlined results). Can existing Marriott Bonvoy members participate? Unfortunately, no. The offer terms state that you won’t be eligible if you hold or have previously had a Marriott account. If you attempt to sign up with a new one, you may risk being suspended from the program. However, if you have a family member who is not yet a carded up member of Marriott Bonvoy, consider registering them for this promotion. Will you be joining Marriott Bonvoy to take advantage of this generous promotion?